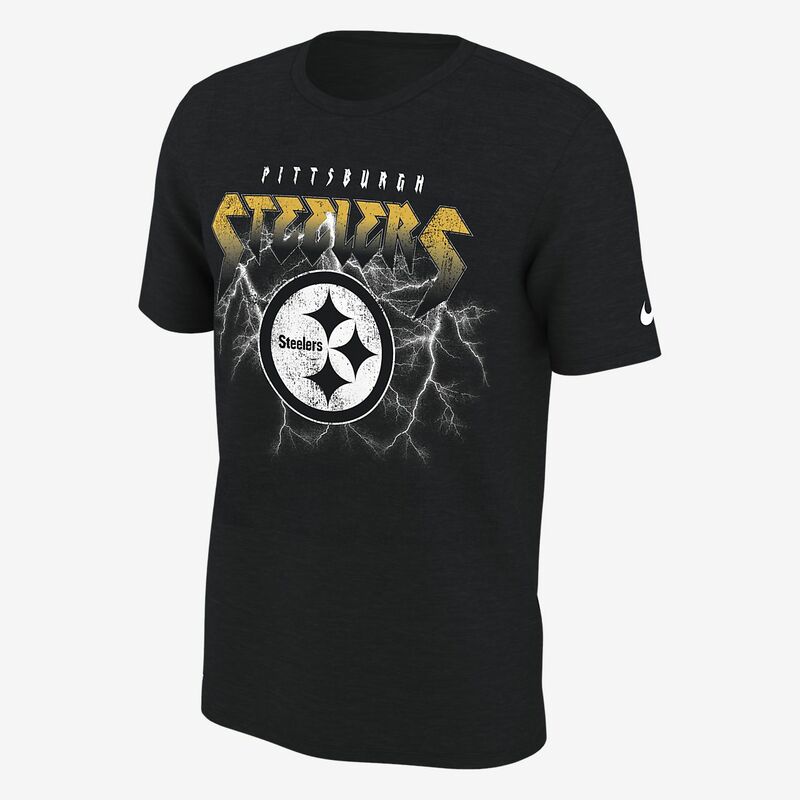 The Nike Dri-FIT (NFL Steelers) T-Shirt is inspired by classic tour apparel from '80s concerts, and sweat-wicking technology helps keep you dry and comfortable. The Nike Dri-FIT (NFL Steelers) T-Shirt is inspired by classic tour apparel from &apos;80s concerts, and sweat-wicking technology helps keep you dry and comfortable. Have your say. Be the first to review the Nike Dri-FIT (NFL Steelers).